Inflationsförväntningarna stiger med högre råvarupriser och stigande ränta. 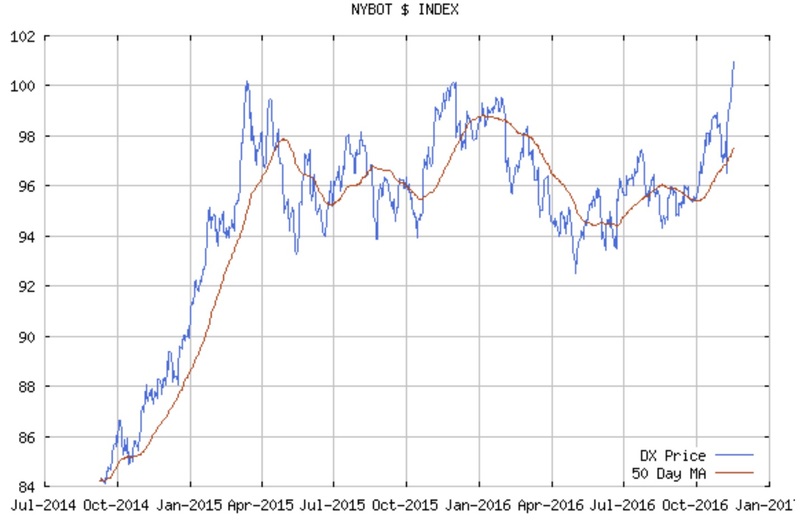 Silver är ansett som en av de bästa investeringarna för att skydda sig mot inflation men som med mycket annat i dessa tider så har det nog upphört att gälla. Eller. Atlanta Fed, which moments ago updated its GDPNow model and said that its forecast for real GDP growth in the fourth quarter of 2016 is 2.4 percent on November 30, down from 3.6 percent on November 23. (Bloomberg) Treasuries are having their worst month since 2009 on a total return basis. 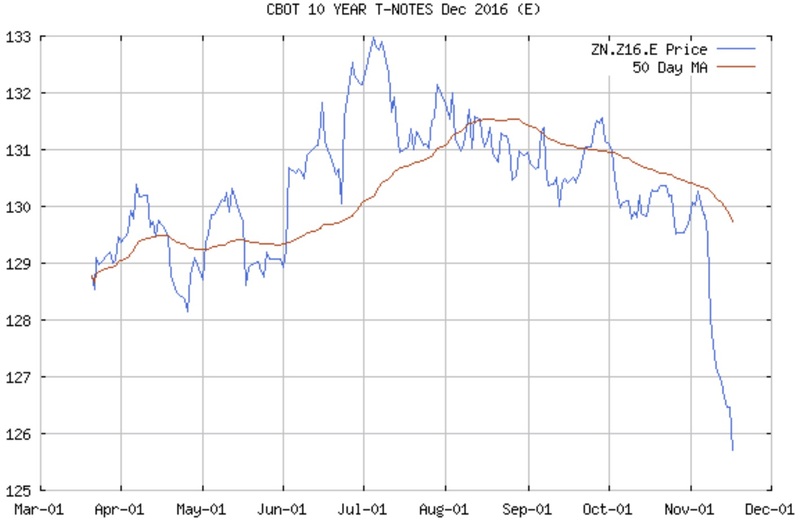 Ten-year note yields surged about 23 basis points in October, and are up 53 basis points this month, to about 2.4 percent. 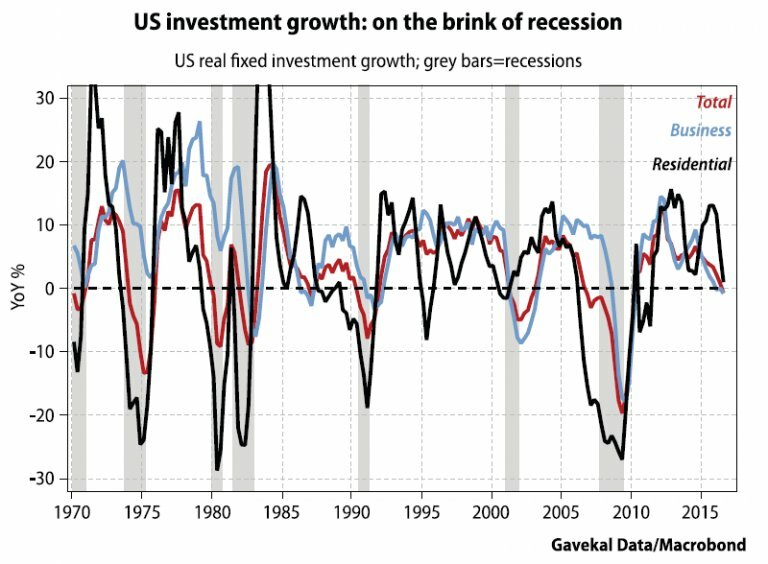 The two-month move is the steepest climb since 2013, when fears of the Fed abruptly reducing stimulus led investors to sell Treasuries (aka, the Great Taper Tantrum of 2013). As Bloomberg reports, bearish options hedging against a 10 percent price drop in the biggest gold exchange-traded fund cost the most since July 2015 relative to calls betting on a 10 percent jump. Oron över utgången när det gäller den kommande helgens val i Italien märks i den 10 åriga ränta och val undersökningarna lutar åt nej. Lager minskning bidrar inte positivt till BNP. Dagens siffra med en minskning om 0,4% kommer inte att hjälpa tillväxten. Ryssland ökar tempot när det gäller att köpa guld. 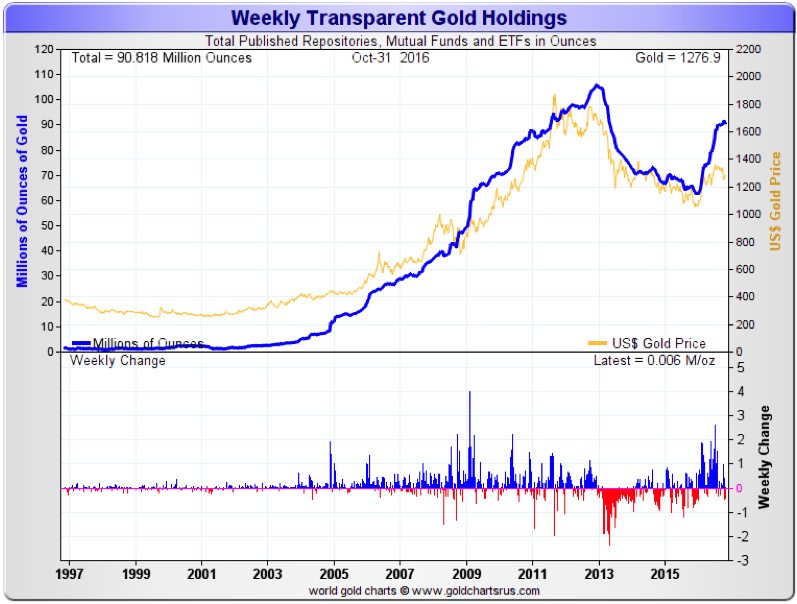 Russia gold buying accelerated in October with the Russian central bank buying a very large 48 metric tonnes or 1.3 million ounces of gold bullion. 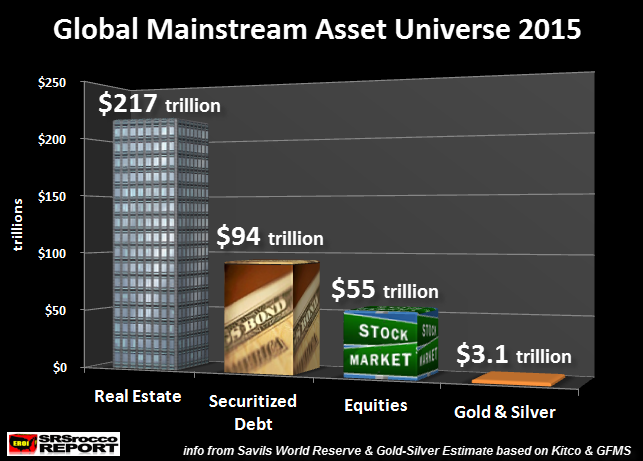 The Russian central bank gold purchase is the biggest monthly gold purchase of this millennium. 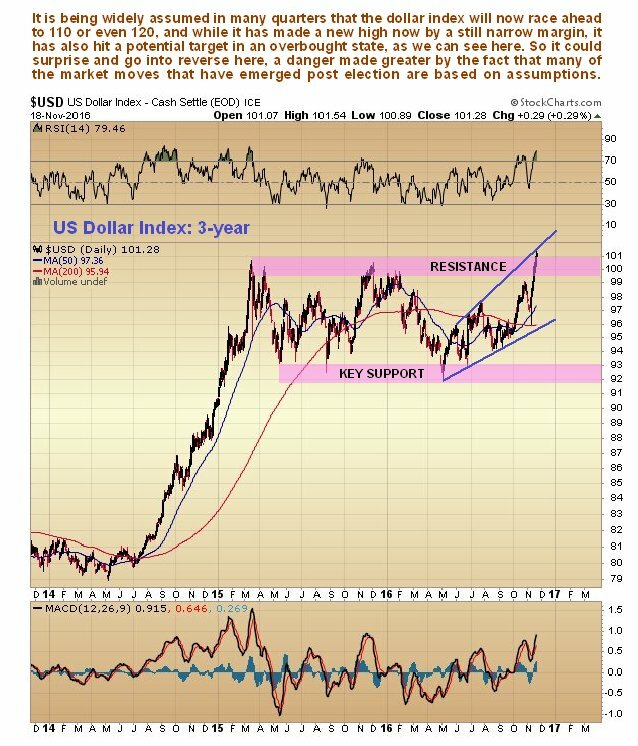 Concerns about systemic risk, currency wars and the devaluation of the dollar, euro and other major currencies has led to ongoing diversification into gold bullion purchases by large creditor nation central banks such as Russia and China. 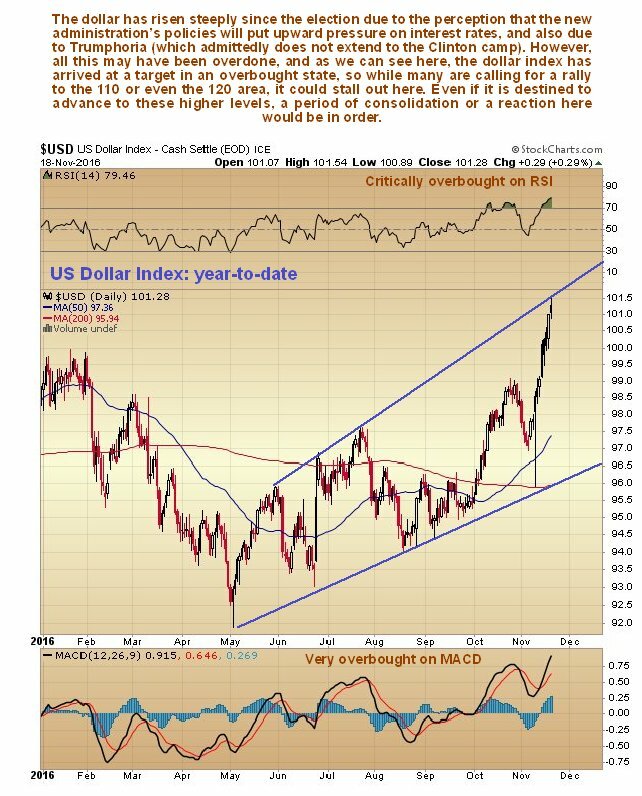 Yuanen försvagas mot dollarn, dollarindex stiger, yenen försvagas med över procenten mot dollarn, räntorna stiger och någon dumpar snabbt $6 miljarder i future marknaden för guld, svagt nedåt på börserna. Kalabaliken i Bender har börjat och frågan är var det slutar. Durable Goods Orders jumped 4.8% MoM in October, the highest since the October 2015 (start of government fiscal year) bounce last year, thanks to a yuuge in transportation orders (up 12.0%) which included a surge in orders for civilian aircraft (up 138.5%) and military aircraft new orders (up 33.1%). However, Core Capital Goods Shipments, i.e. true CapEx, has now declined 15 straight months year-over-year (the longest non-recesionary streak in history). Lots of excitement that Durable Goods (ex transport) turned green year-over-year for the first time since Dec 2014. 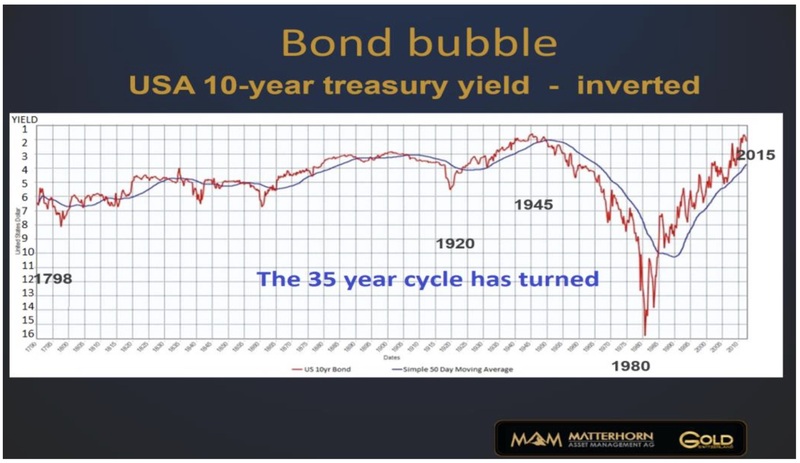 Since the taper-tantrum in 2013, we have seen four 'meltdowns' in global bonds... and guess what happened next? 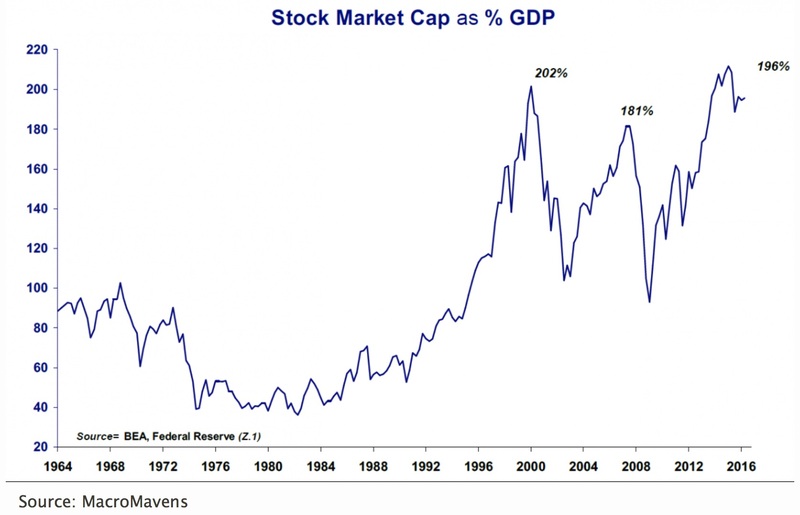 Goldmans index finacial conditions och S&P går helt åt olika håll. Frågan är vilken som går åt rätt håll. Dollar +7.5% vs the yen over the last 2 weeks, its best fortnightly performance since 1988, second best since end of Bretton Woods. Demand for infrastructure in emerging Asia and fiscal spending in the West will push commodity prices higher, says The Gloom, Boom & Doom Report's Marc Faber. The Emerging Market Bond Bloodbath has left a painful trail as investors pulled a record $546 million from the largest EM Bond ETF last week. 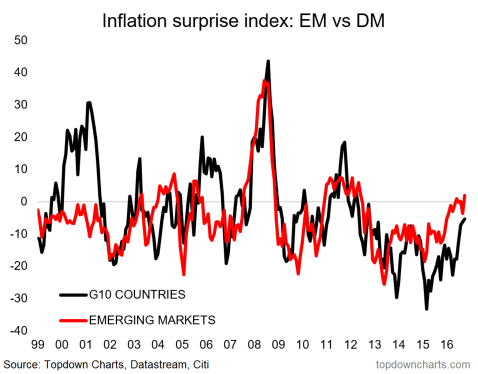 As the US Dollar surges on the intermingled themes of Trumponomics' inflation and higher rates, EM and Asian FX rates are collapsing to Lehman crisis lows as the rest of the world suffers despite US equity gains. 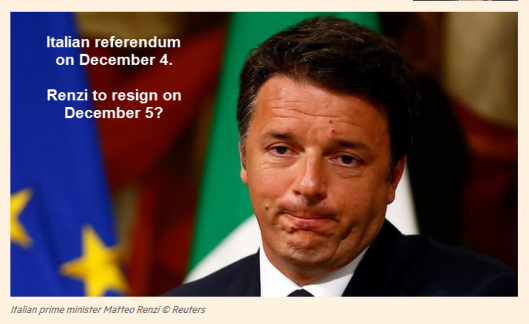 Despite Italian Prime Minister Mateo Renzi's solemn denials that he will resign when, not if, the Italian constitutional referendum fails on December 4, it is now obvious that the Italian government is on the verge of collapse. And in yet another U-turn Renzi admitted as much himself, when according to La Repubblica, he told his entourage this weekend that the government would fall if he loses Dec. 4 constitutional referendum. “It’s very simple: if I lose the referendum this government falls. 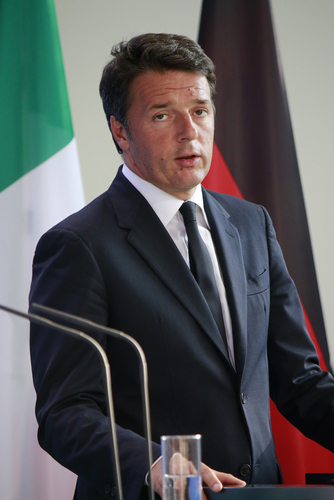 At that point we’ll see who is capable of reaching an agreement for another administration,” Renzi was quoted as saying. 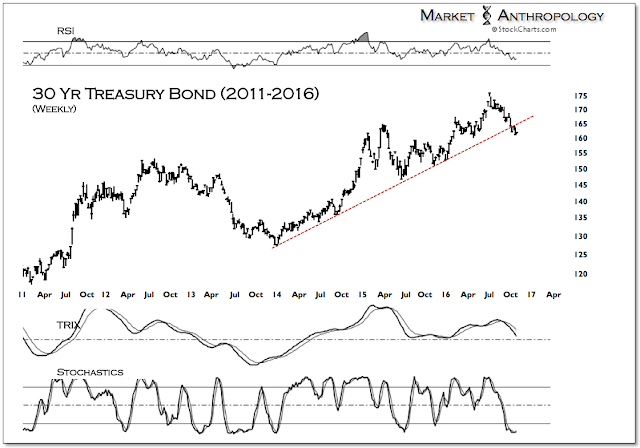 The yield on the U.S. 10-year has surged to 2.3 percent following the election on higher inflation expectations under President-elect Donald Trump and the potential for a Fed rate hike next month. A conspicuous feature in the year-over-year table is the volatility in energy, significantly a result of gasoline prices, which is also reflected in Transportation. Here is the same table with month-over-month numbers (not seasonally adjusted). The nose-dive and subsequent recent increase in energy costs is clearly illustrated, reflected here too in transportation. 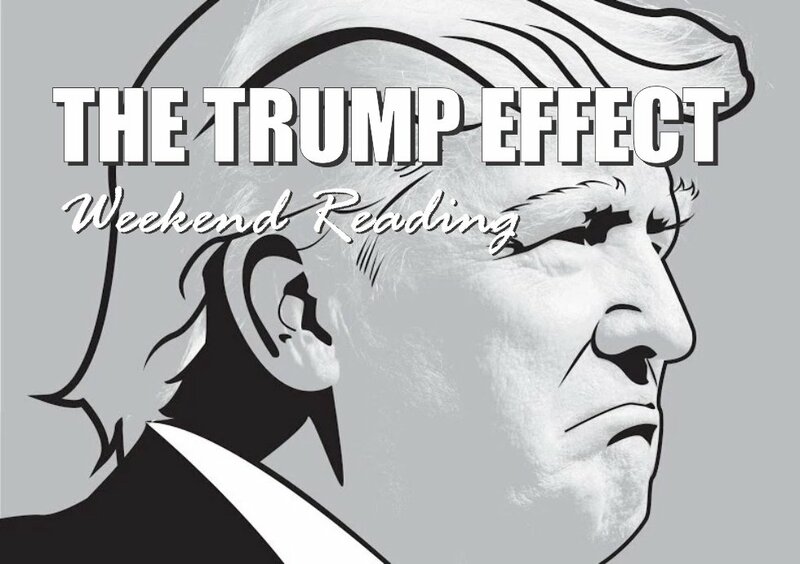 Kärninflationen har nu legat över FEDs 2% i ca ett år och Trumps expansiva stimulanser kommer självklart att spä på den siffran. 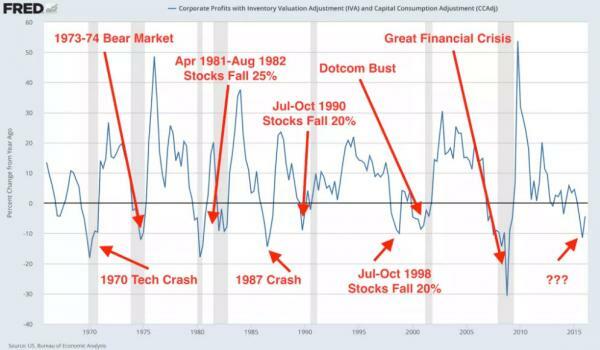 Inflations förväntningarna i USA fortsätter upp och därmed räntorna. 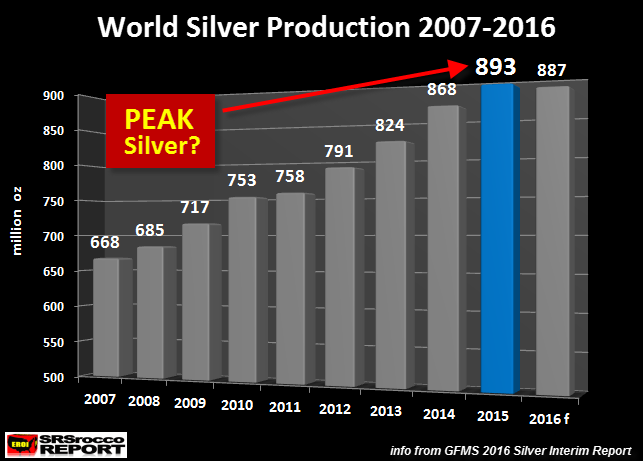 Guld och framför allt silver är naturliga investeringar mot inflation men dessa går ned då det är kraftigt manipulerade kurser med försäljningar i pappers marknaden motsvarande mer än en årsproduktion på bara några timmar. Slutligen kommer alltid verkligheten i kapp manipulationen. 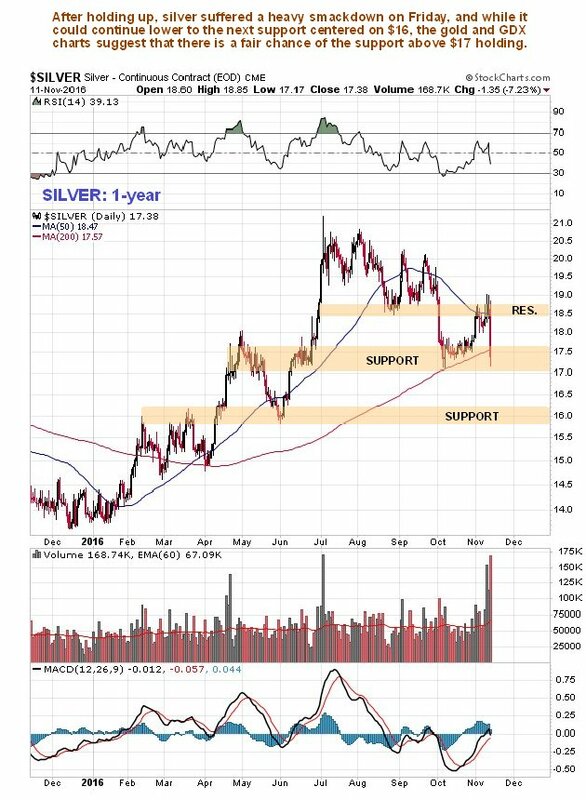 The graph below shows smoothed (10 year moving average) silver and crude prices. 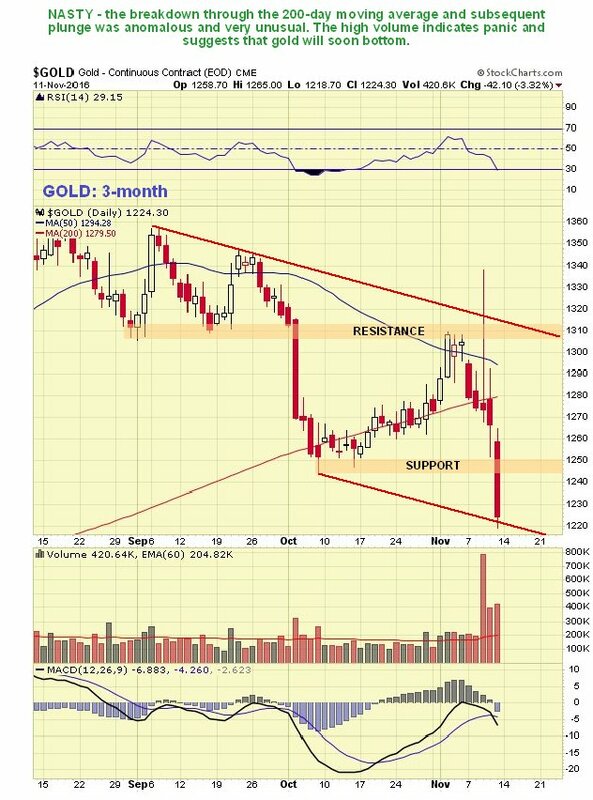 Gold price patterns are similar to silver prices and are not shown. 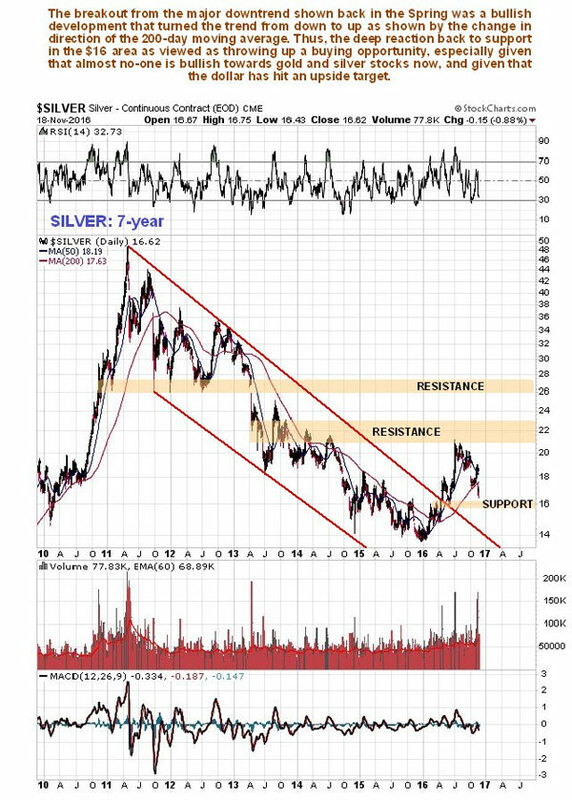 Note that silver and crude prices increased erratically but exponentially. 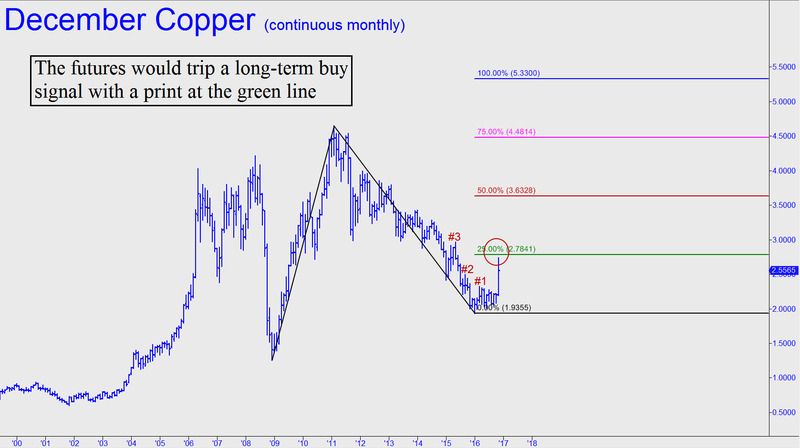 Silver prices are currently low based on their 20 year “megaphone” pattern. Expect much higher prices. Submitted by Turd Ferguson on November 10, 2016 - 3:58pm. 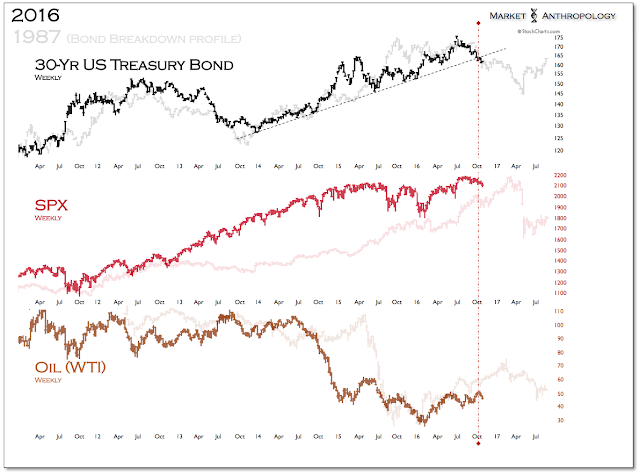 With bonds in free fall at long rates up from 2.1% to 2.95% in four months, it made me think of Santa's Pillars. Many oldtimers will recall this from about 10 years ago. It was always Pillar #5 that we hadn't crossed yet. In a very large demonstration against the planned constitutional referendum in Italy to take place on December 4th, 2016, the demonstrations are turning into riots. 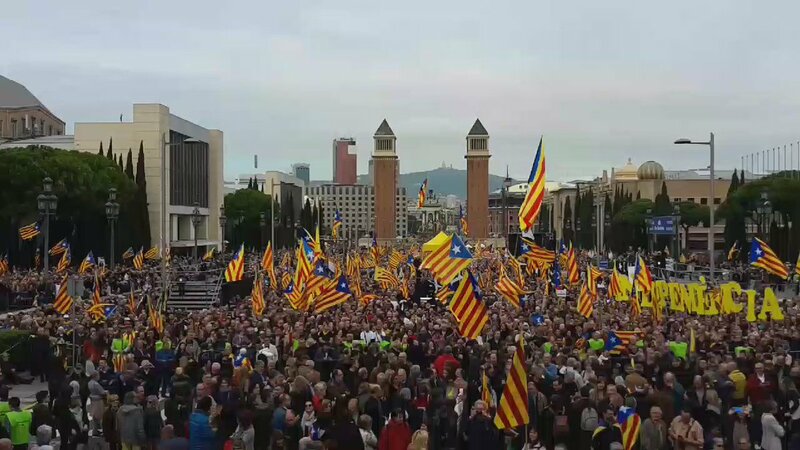 Hundreds of protesters threw smoke bombs, stones, and fireworks on policemen, who in turn used batons to beat the people. According to Italian media, one person was injured. The demonstrators tried to reach the place of the annual Democratic Party Congress held by Prime Minister Matteo Renzi taking their discontent directly to him. The mayor of Florence, Dario Nardella, condemned the violence as unacceptable. 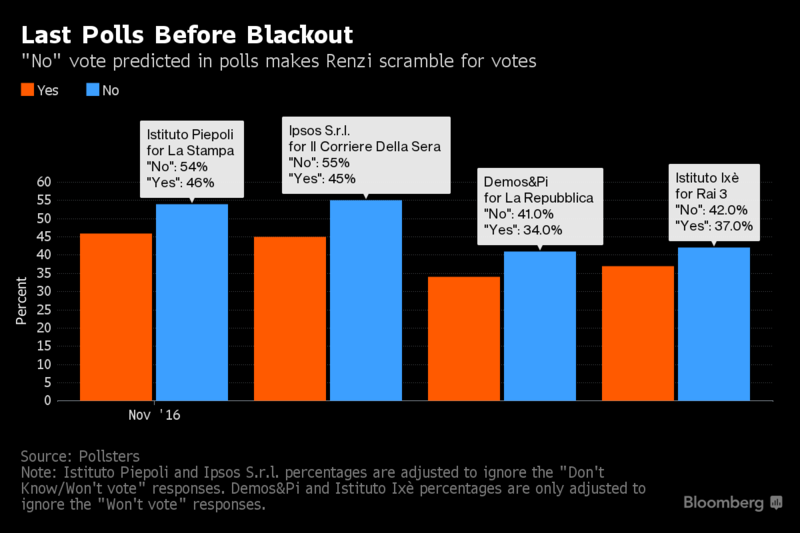 To date, the demonstrations against Renzi were generally peaceful. The government has linked its political fate with the referendum on December 4 and Renzi has previous said he would resign if it is defeated like David Cameron in Britain. The propose constitutional reform is claimed to bring more stability to the country, ending frequent government changes. The proposal is planned to limit the role of the Senate and the responsibilities of the regional governments. This is federalizing the government and definitely weakening of democracy. 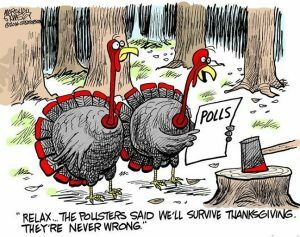 Virtually every opinion polls shows the proposal is unpopular and will go down in defeat. Kommer börsraset nu efter Obamas 8 år????????? 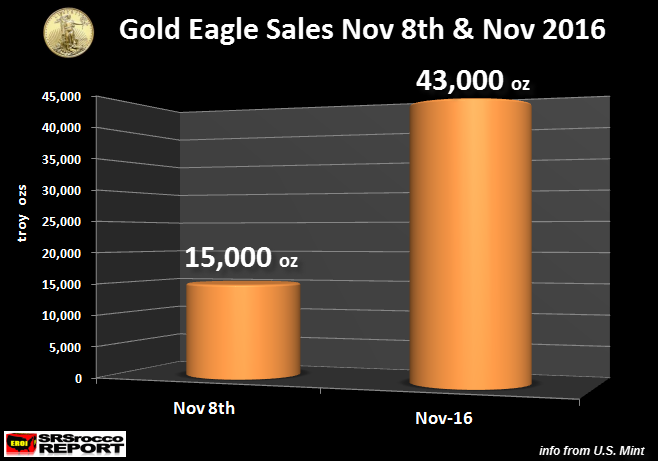 In one day, the U.S. Mint sold a third of the Gold Eagle total sales for the month of November. 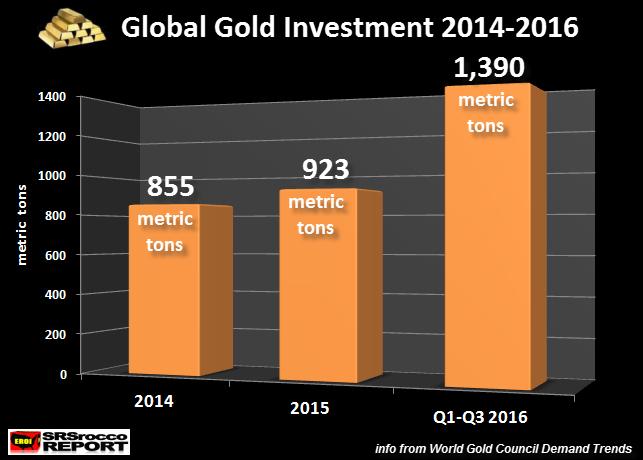 This one day Gold Eagle sales of 15,000 oz is preview of the massive demand to come in the future. 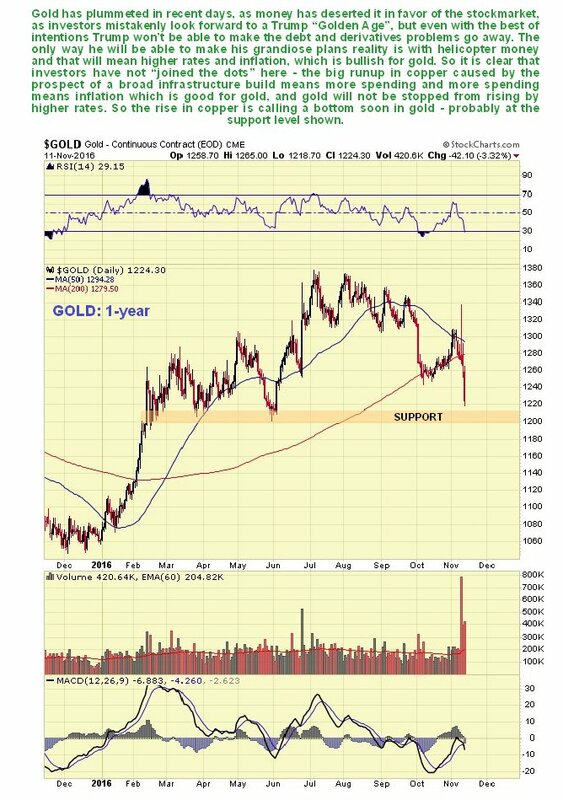 While the gold price has been knocked lower the past few days, this is not at all an indicator of its real value. Nothing makes sense anymore in the markets as Central Banks scramble to deal with the increased volatility in the currency markets due to the election of Donald Trump to the White House. Någon dumpade 150 ton pappersguld under 30 minuter. Bullion banks som låga ultra korta guldet inför valet byter nu sida och täcker sina kortningar och viktar upp på den långa sidan. 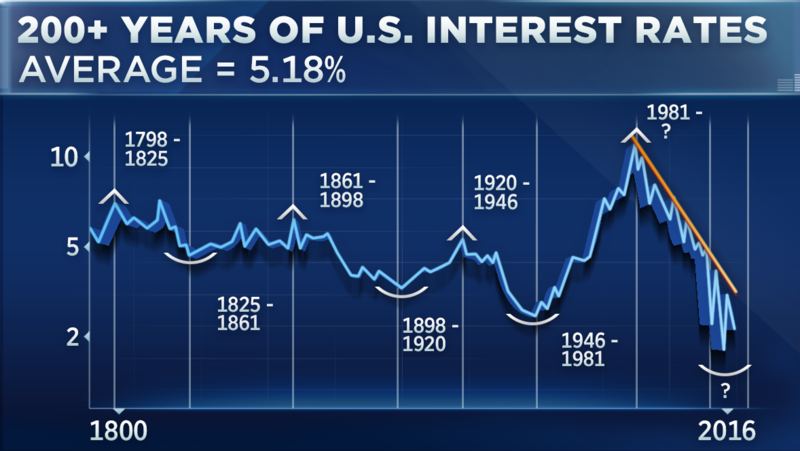 Räntorna i USA går upp på högre inflations förväntningar vilket kan få svåra konsekvenser för en mycket högt värderad börs. Inflationen i UK drar iväg och snart får vi se panikåtgärder från BOE. Vad händer då med börsen???????? Could Brexit be the even that forces policymakers to re-think their monetary policy plans? As the value of the pound has plunged, inflation expectations have surged and so have UK borrowing costs implying markets believe the Bank of England will have to tighten to control inflation. 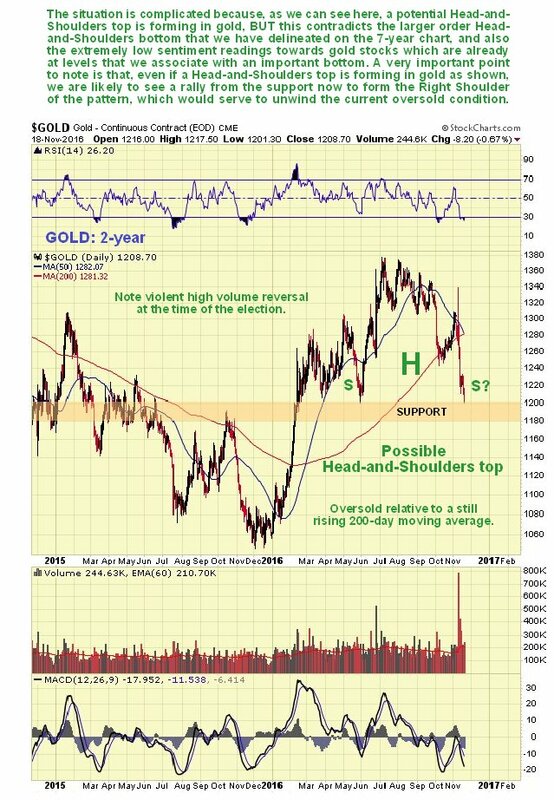 Goldman Sachs told investors to sell government bonds and buy gold as a hedge due to the prospect of future inflation from Donald Trump's economic agenda. Stökig 10 årig bond auktion efter Trumps vinst med en avkastning på över 2%. Inflations förväntningarna är på plats och med högre ränta torde det bli svårare att få börsen att stiga. 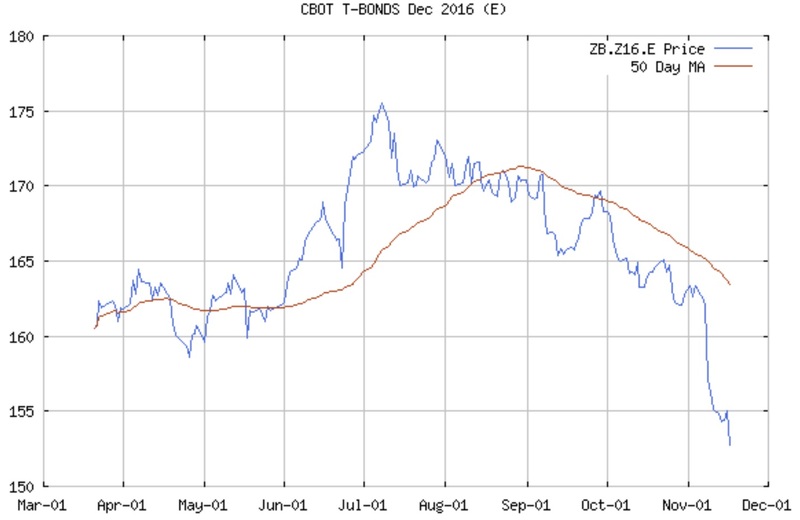 Well, if Trump really wants to blow out yields, he got a head start two months before he was even sworn in when moments ago the market threw up all over today's $23 billion in 10-Year paper, the first benchmark auction to price above 2% since January, and not only that but do so with one of the biggest "tails" on record, pricing at 2.02%, 1.6bps wide of the When Issued 2.004%. 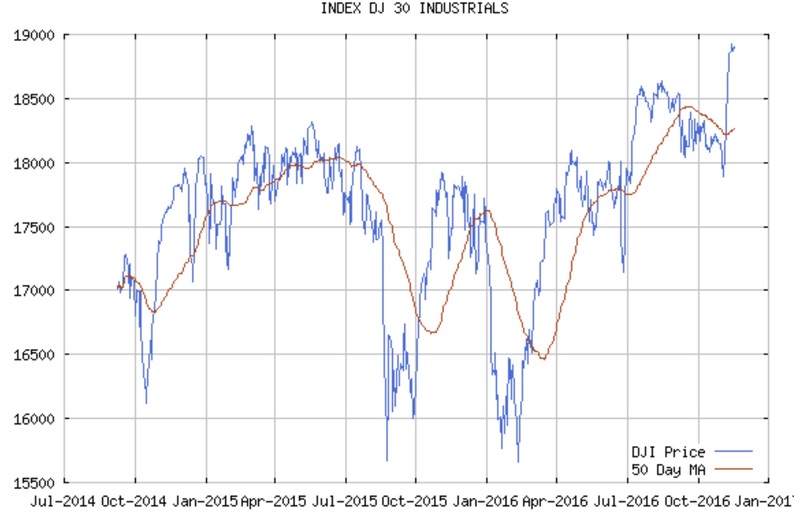 The internals were even more, ahem, deplorable, with the Bid to Cover tumbling from 2.53 in October to 2.22, the lowest since March 2009, as Indirects plunged from 62.7% to only 52.5%, the lowest since January 2015, and with Directs taking down just 8.3%, Dealers were stuck with 39.2% of the auction. 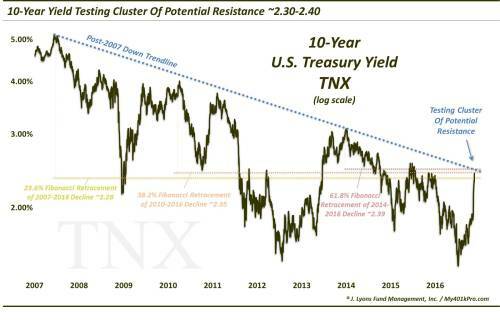 Overall, this was about as ugly an auction as we have seen in years, and if this is indicative of how the market will treat the Trump administration, we may find ourselves in an entirely new regime: one where the bond vigilantes take on not the Fed, but the president. Where have we seen that? Oh yes, in Italy in 2011. That particular episode resulted in the ouster of Berlusconi. 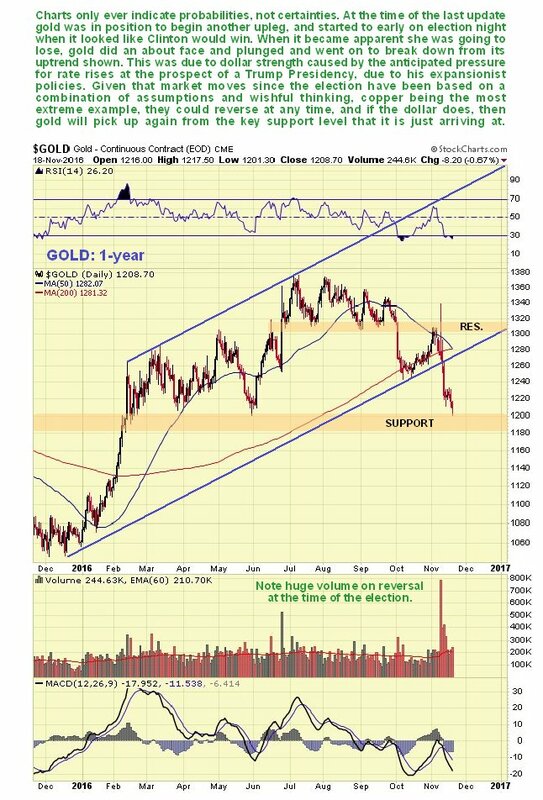 The following charts, from our Australian friend Nick Laird of goldchartsrus.com, show holdings from all global gold funds and metal depositories. Since this data includes physical holdings and not just shares, any clear direction in the amount of holdings would send a strong message: if they’re selling, they’re bearish… if they’re holding on or adding to their holdings—despite whatever the current price may be doing—it signals they’re bullish. 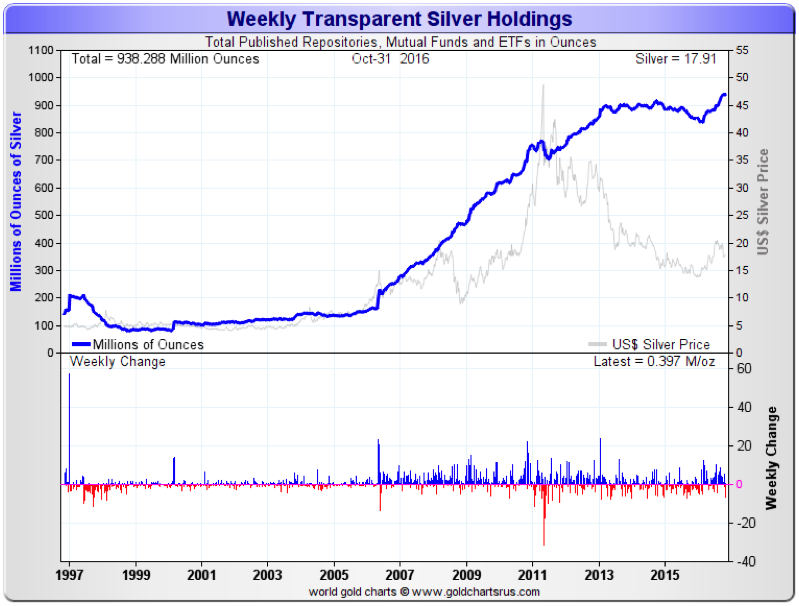 Silver ETFs tend to have more retail investors than gold ETFs. 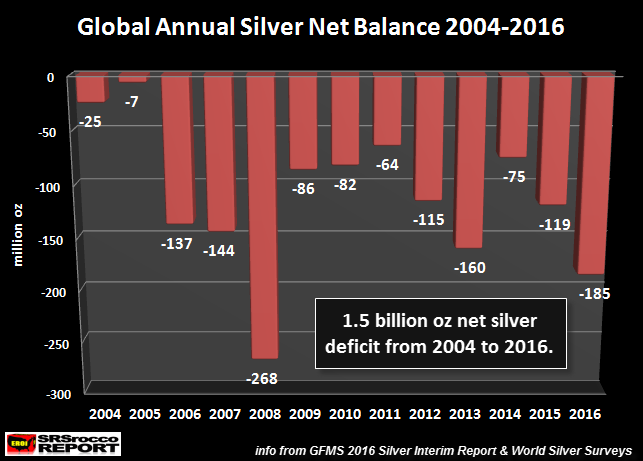 But you can clearly see that silver investments in both funds and depositories have soared to a new record level. 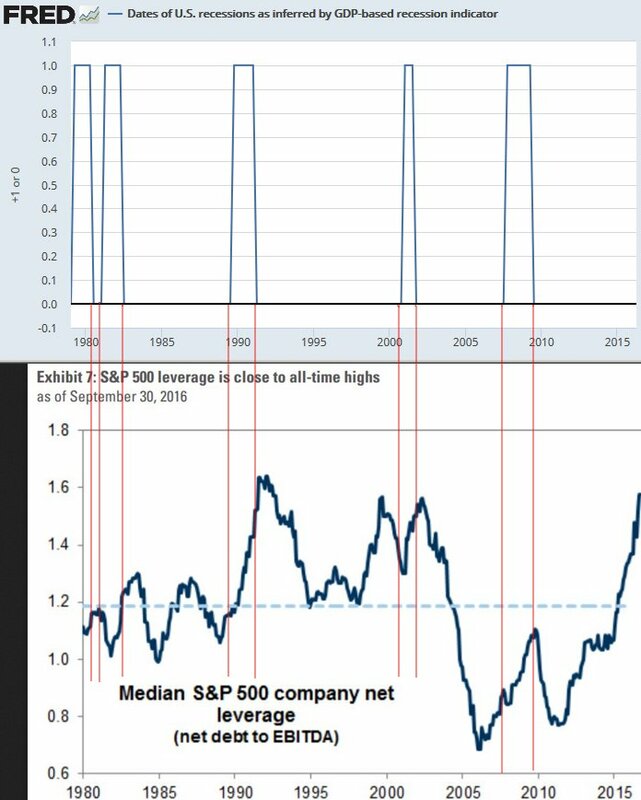 Those levels are more than twice what they were during the financial crisis of 2008-09. 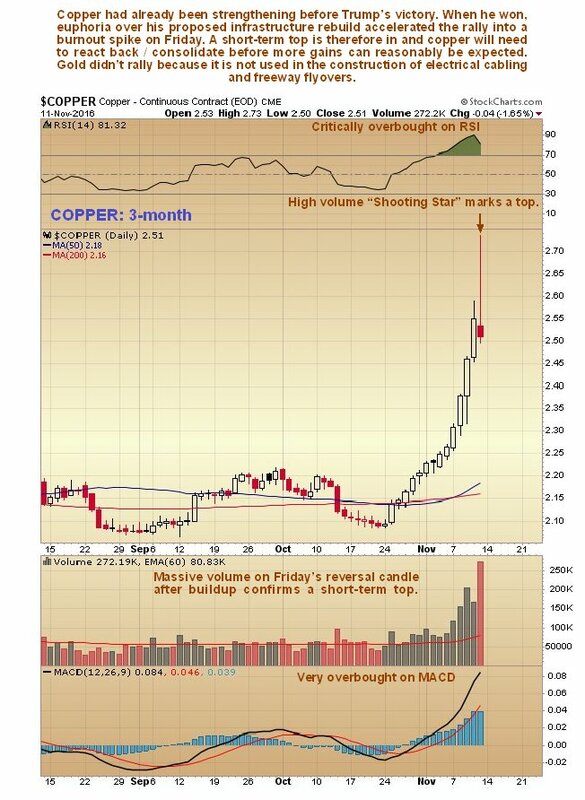 And when the silver price recently fell, investors loaded up. 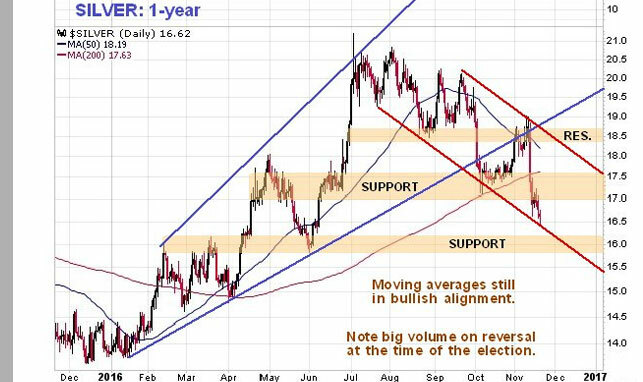 • Investors are bullish on gold and silver. 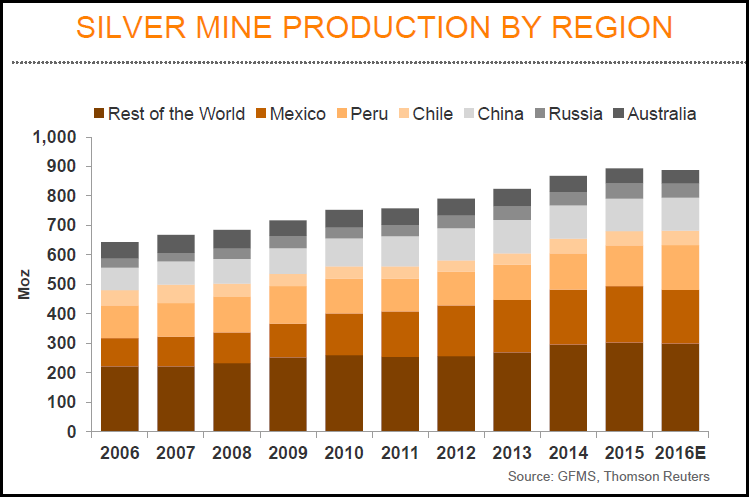 Many are buying more metal. Despite the current flat price, nobody’s selling on a net basis. This doesn’t say things couldn’t reverse. 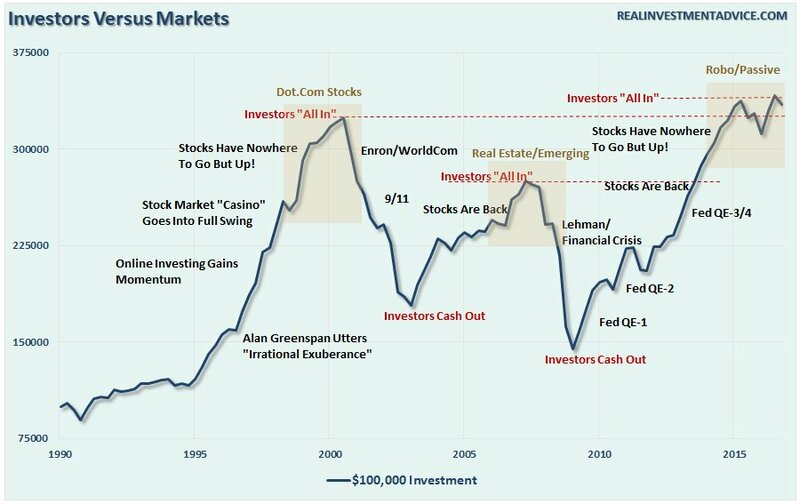 What it is saying is that today, institutional investors see a strong reason to not just hold on to their gold and silver but to buy more. The price drop has been their opportunity to pounce. 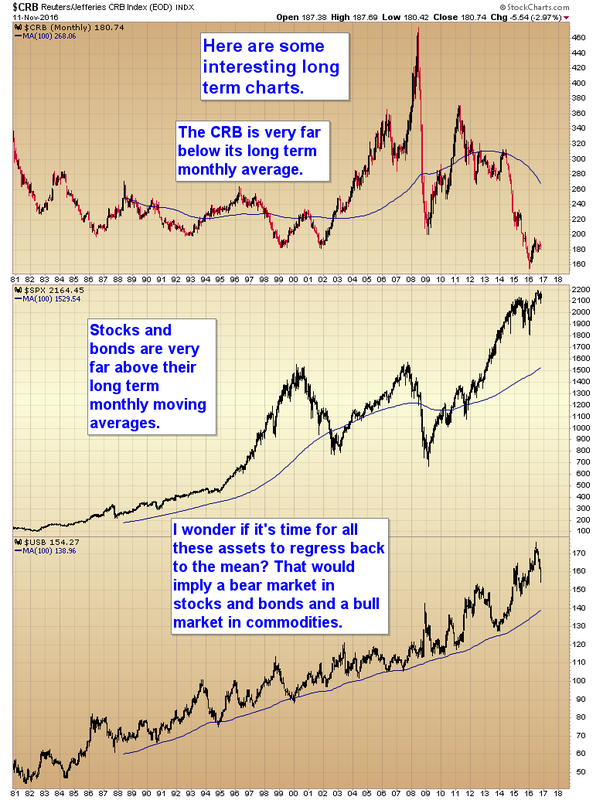 It’s safe to assume that they believe the reasons for holding precious metals have not gone away. 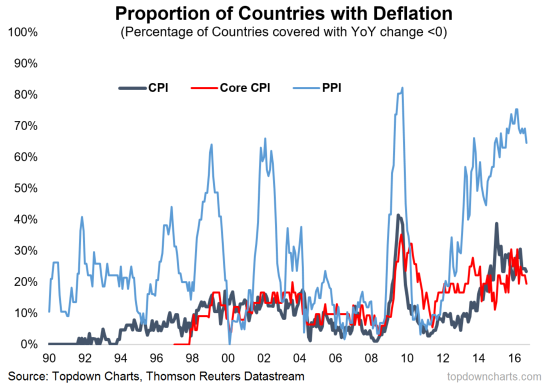 The number of countries in deflation really looks like it has peaked and rolled over (see chart below), inflation surprise indexes have turned up, and market-based measures of inflation expectations such as inflation swaps are also starting to turn up. Obligationsmarknaden har sedan i somras vänt och börsen i USA har inte riktigt hängt med på nedsidan. Confirming the weakness reported by regional Fed surveys, New York Purchasing Managers current business conditions contracted for the 3rd month in a row (at 49.2). 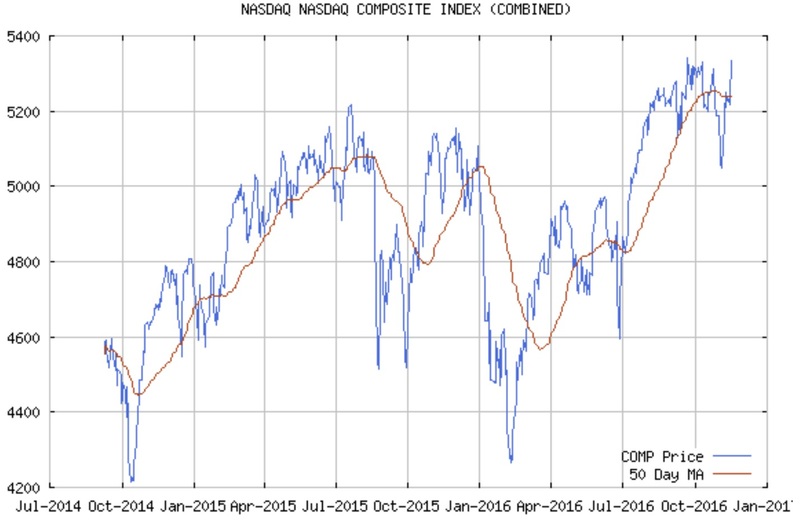 This is the 5th contractionary print of the last six months and the weakest streak since 2009. Following last night's massive inventory build report from API (biggest in 8 months), DOE piled on by confirming a 14.42mm barrel build - the biggest in the 34 year history of EIA data. 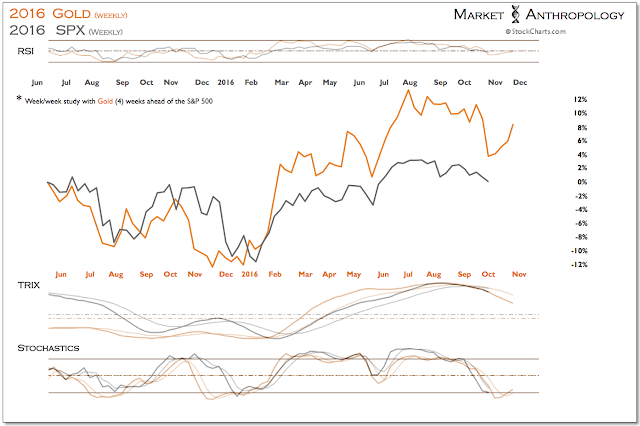 Cushing saw a small build but Gasoline and Distillates saw drawdowns. Crude and RBOB prices are tumbling on the news, not helped by the 3rd weekly rise in US Crude production. API's biggest build in 8 months was nothing compared to the 14.4mm build from DOE - the biggest build ever. Distillates have now drawn down for 6 straight weeks. Det är nu större chans att Italien lämnar EU än för Grekland. Italien röstar den 4:e december. Italy is now the focus country number 1 in the Eurocrisis! The precarious situation of the Italian banks, the political questions surrounding the Constitutional Treaty at the beginning of December, and the economic turmoil of the past have placed the country south of the Alps at the center of investor interest. This less complex graph shows the performance of the HUI-index of the last ten years, a very reliable reference of this sector. 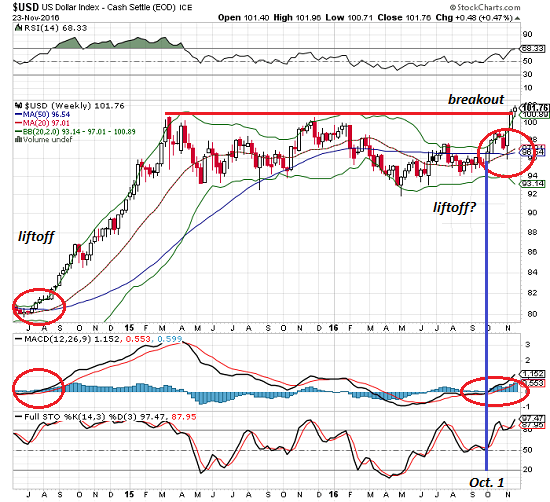 At this moment, we see a very interesting technical pattern forming on this graph. An inverse shoulder-head-shoulder pattern should be cleared on the right. 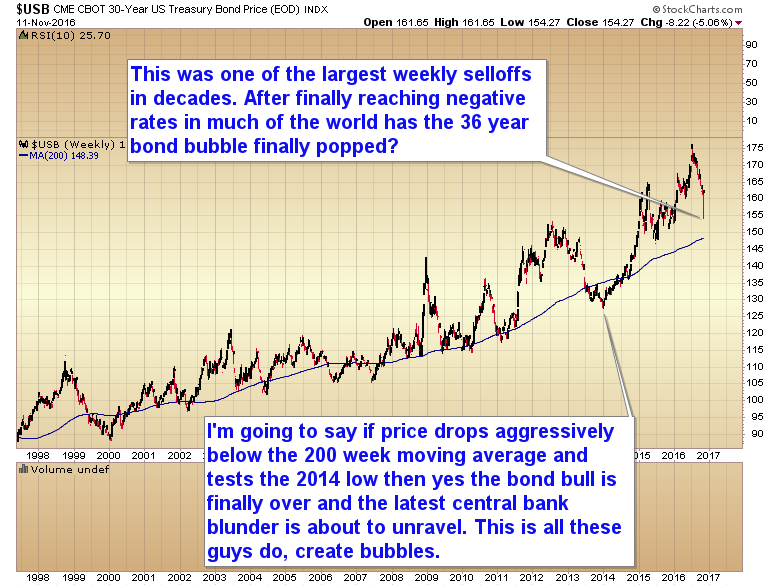 This is a very bullish sign which perfectly corresponds with our previously outlined theory. 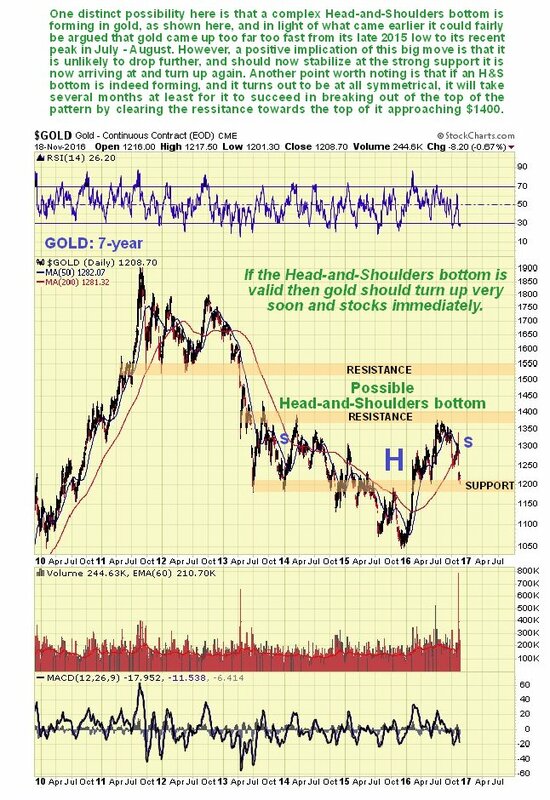 To be more concrete, when this formation has been completed, which could take up some more months, the path is ready to continue to 600 points and even higher. Consider that today the HUI-index moves around the 200 points! And never forget: if this sector is on fire, nothing will keep it from stopping. We saw this already happen in the 2008 to 2011 period when the HUI-index jumped from 175 to 625 points (+257%). 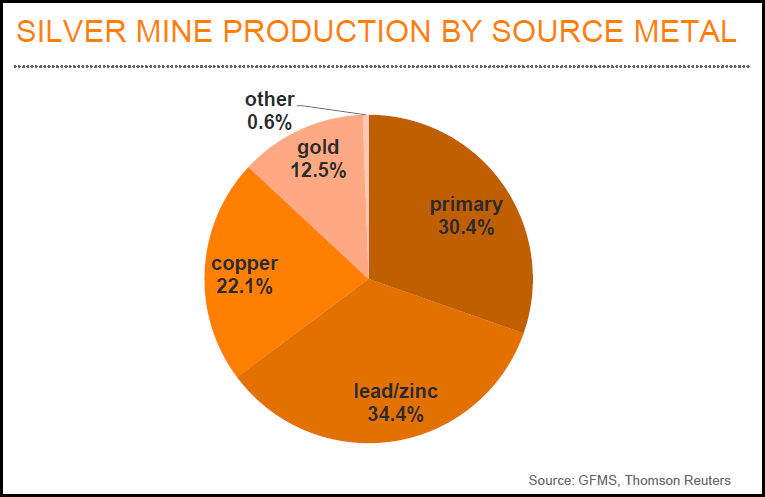 Gold and silver mining shares went through the roof, but the JUNIOR shares in this sector went through the sky. Some of them jumped with multiple thousand percent’s! 10-åriga räntan i USA fortsätter att stiga då inflations förväntningarna och FEDs förväntade räntehöjning i december börjar synas i obligationens värde. Fortfarande syns det inte i börserna.